There are known incompatibilities with Spotlight indexing drives while recording audio. If you will be recording to a large number of tracks for over an hour, set all of your drives to private in the Mac OS X System Preferences to ensure maximum performance. Failure to do this may result in Pro Tools reporting an error and ending the record pass when Spotlight indexes the drives. It took me a few minutes to figure out how to do this, so let me save you the time. Screen shots are from Lion. 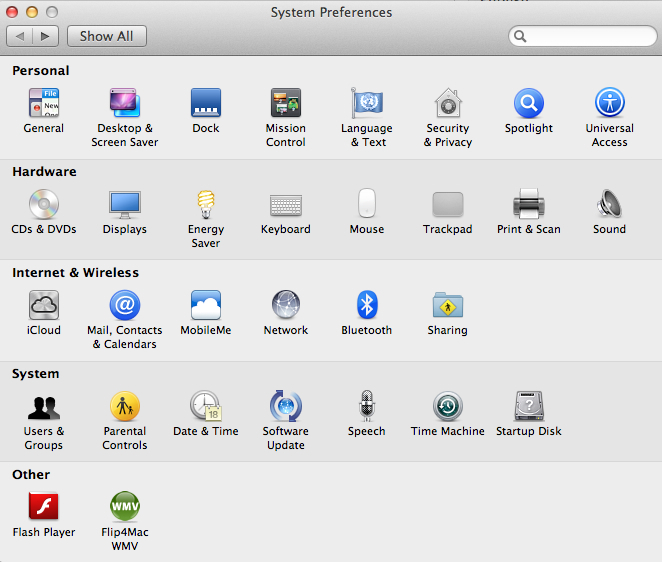 In System Preferences, you should see Spotlight toward the right of the top row. In the Spotlight preference area, click the Privacy tab. Click the “+” on the lower left and choose a record drive. The OS will display this warning. Click OK.
You will see the selected drive on the Privacy list. Continue this process with any/all record drives. Please note that you wouldn’t want to actually prevent indexing of your system drive as shown here; this is merely for example. You wouldn’t want to record to your system drive either. @kylepsnyder made an excellent point about the example shown above: do not disable indexing for the system drive. He also advised that Spotlight indexing, Time Machine and much more can be managed using Cocktail. Cost: $19. If you want more tips for making your Mac great for audio work, be sure to read OSX Optimization for Audio by Jon Tidey (@theaudiogeek). It is a great companion article to this one whether you use ProTools or something else. 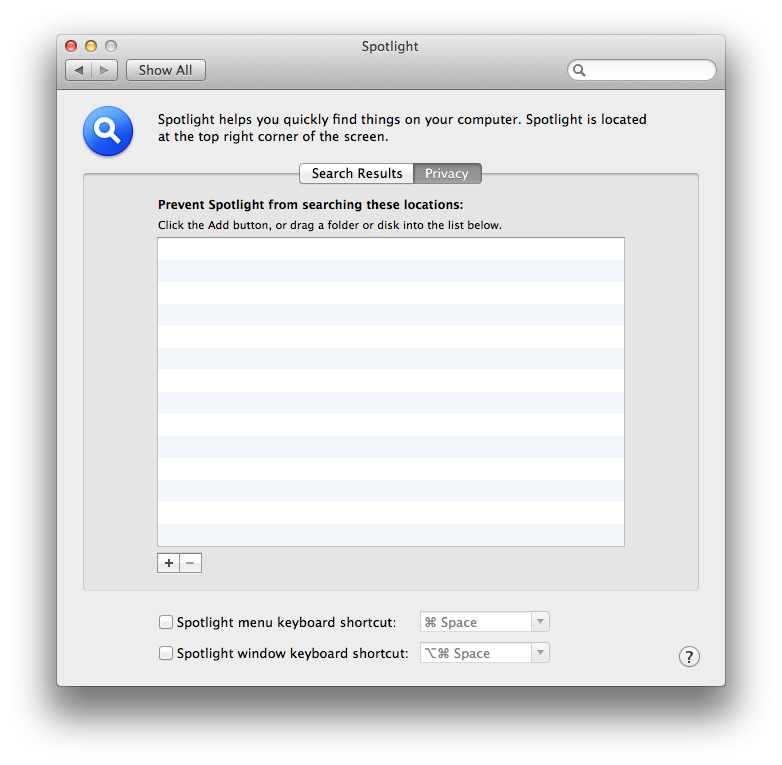 Side note: in my opinion Finder and Spotlight have become less and less useful for finding files. Allow me to recommend EasyFind instead. It’s great and it’s free. it is pro tools that is incompatible with the standard and essential OSX function not the other way around. F**king AVID. 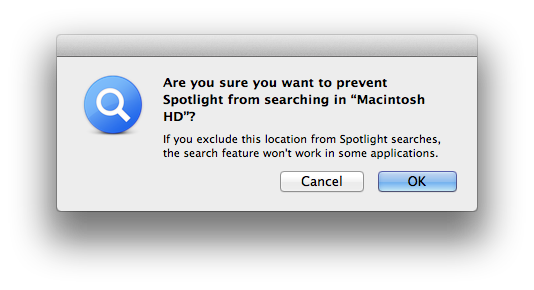 I can understand not recommending iTunes but Finder and spotlight? Come on! 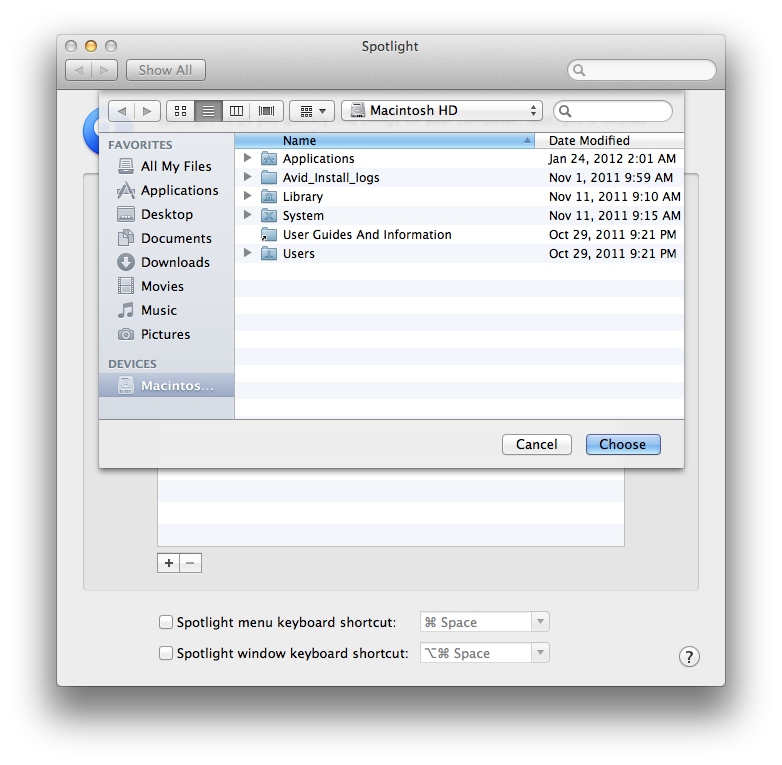 I don’t like all the recent updates to Finder (hiding user lib, no color labels in sidebar, devices at bottom) but I use spotlight for launching and opening apps or documents all the time. I find it much faster than the dock or launchpad. On a similar note, if you use time machine for backups, set it to manual or around the 1hr mark your recording will stop. This happened to me once around PT 8. I use Time Machine for effortless system backup and I’ve customized it to exclude a lot of unnecessary folders. Excellent point about Time Machine Jon. That could potentially be a bigger issue than indexing. Thanks. seems to me nothing but just another stumbling block on support cases. if indexing is really causing any issues I would suggest to overthink using protools or even a computer for recording. my experience shows that audio technicans are not always great in hacking/managing computers and vice versa. i’m pretty sure if you consider all support articles from avid you wouldn’t be able to use anything(including protool) or get support at all. once I was a protools evangelist, but now I’m just disappointed and switched to another DAW. I’m quite happy with the decision. …,even a running backup shouldn’t be a problem nowadays on a smart setup,…. Thanks, nean. I didn’t write about this issue as an attack on Avid, but rather to help those who choose ProTools to keep things as clean and trouble-free as possible. While I do appreciate the criticism as a way to help people solve problems, I also think it’s good for those who are deciding between various DAWs to know what the key issues are. In other words, the Avid dissent helps provide some perspective even for a long-time ProTools user like me. Your DAW project is impressive. Thanks for sharing.